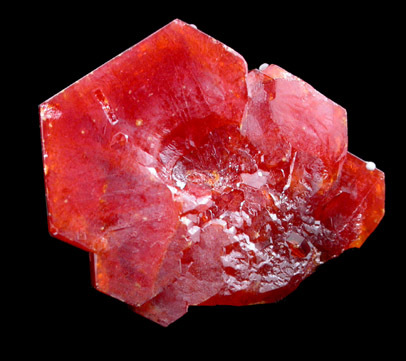 Description: Complex cluster of parallel red vanadinite with no matrix attached. 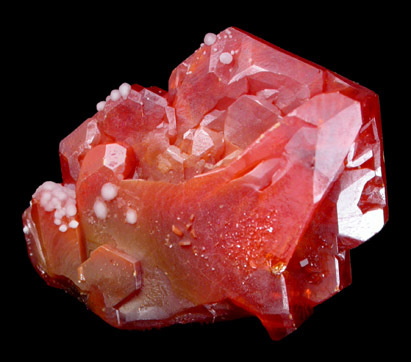 The vanadinite crystals translucent with satin luster on one side and glassy faces on the opposite side. Minute edge chips are visible under magnification.